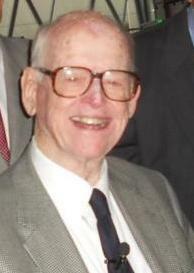 William Boeing Jr., son of Boeing Co. founder William E. Boeing, died Thursday morning at the age of 92. He was at home in Seattle, surrounded by family. “We are deeply saddened by the passing of Bill Boeing, Jr.
“We are especially grateful for his efforts to preserve our largest home community’s history of aerospace innovation by helping secure and renew the legendary Red Barn, our first factory, a special place that he visited as a boy. Then, as a leading light in the creation and expansion of the Museum of Flight, he helped showcase our heritage and inspire generations to join in and further advance the science and business of aerospace. “As a successful businessman and a model for citizenship, Bill positively shaped the region around Seattle, not least through his family support for the Seattle Children’s Hospital, and all the while sharing his passion for education and history wherever he could.